Service and quality are a family tradition and the foundation from which Mr. Frank Cancelli founded the Atlantic Group of Companies in 1977. 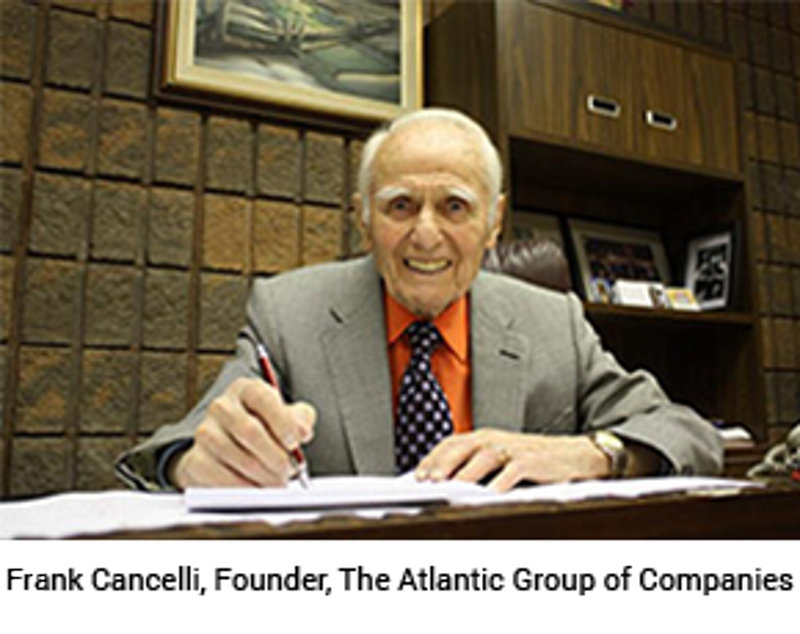 Mr. Cancelli ensured that the Atlantic Group of Companies continued to grow over the years, expanding from a mechanical tube mill (that focused on the automotive exhaust industry), to a mill focused on the manufacture of structural tubing. More recently, through exceptional financial stability and the close relationships with leading global steel mills, Mr. C (as he is affectionately known) began Atlantic Steel Processing, a leading edge steel slitting operation. His forward-looking-mindset enabled the Atlantic Group of Companies to allocate the people, talents and financial resources required to fill a service-void in the steel industry. With the launch of Atlantic Steel Processing, they are able to slit both hot and cold rolled steel at speeds that outperform most industry standards. This means faster turnaround time for our Customers, which allows them to run more efficiently and profitably. From shining shoes and selling newspapers during the great Depression, to becoming one of the industry’s most well-known, and well respected pioneers of mechanical and structural tubing, Mr. Cancelli will always be remembered for his strong work-ethic and commitment to his business and most importantly, his commitment to his family.